Gurung (also, Tamu Kyi, Devanagari:तमु क्यी) is spoken by the Gurung people in two dialects with limited mutual intelligibility. Total number of all Gurung speakers in Nepal is 227,918 (1991 census). There is no distinction between Gurung as an ethnic group and the number of people who actually speak the language. 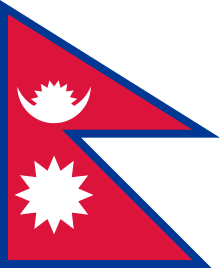 Nepali, Nepal's official language, is an Indo-European language, whereas Gurung is a Sino-Tibetan language. Gurung are recognized as an official nationality by the Government of Nepal. Gurung is spoken in the following districts of Nepal (Ethnologue). Phonetically, Gurung languages are tonal. Gurung languages did not originally have a script but they can be written using Tibetan scripts adopted by many castes belonging to Mongolian races. This language is popular not among only gurung but also other castes. ↑ Hammarström, Harald; Forkel, Robert; Haspelmath, Martin; Bank, Sebastian, eds. (2016). 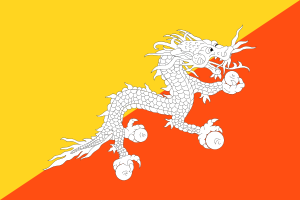 "Gurung". Glottolog 2.7. Jena: Max Planck Institute for the Science of Human History. J. Burton-Page. (1955). Two studies in Gurungkura: I. tone; II. Rhotacization and retroflexion. Bulletin of the Society of Oriental and African Studies 111-19. Viktor S.Doherty. (1974). "The Organizing Principles of Gurung Kinship." Kailash. 2.4: 273-301. Warren W. Glover. (1970). Gurung tone and higher levels. Occasional Papers of the Wolfenden society on Tibeto-Burman Linguistics III, Tone systems of Tibeto-Burman languages of Nepal, Pt. I, ed. by Austin Hale and Kenneth L. Pike, 52-73. Studies in tone and phonological segments. Urbana: University of Illinois. Warren W. Glover. (1974). Sememic and Grammatical Structures in Gurung (Nepal). Publication No. 49. Norman, OK: SIL Publications. Warren W. Glover and Jessie Glover. (1972). A Guide to Gurung Tone. Kathmandu: Tribhuvan University and Summer Institute of Linguistics. Warren W. Glover and John K. Landon. (1980). 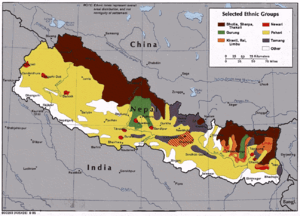 "Gurung Dialects." In Papers in Southeast Asian Languages No. 7, edited by R.L. Trail et al., 9-77. Canberra: Pacific Linguistics. Kristine A. Hildebrandt, D.N. Dhakal, Oliver Bond, Matt Vallejo and Andrea Fyffe. (2015). “A sociolinguistic survey of the languages of Manang, Nepal: Co-existence and endangerment.” NFDIN Journal, 14.6: 104-122.